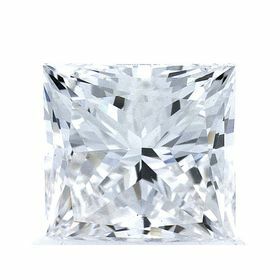 This 1.16 carat Renaissance Created Diamond is a princess cut, with Excellent polish and Excellent symmetry. 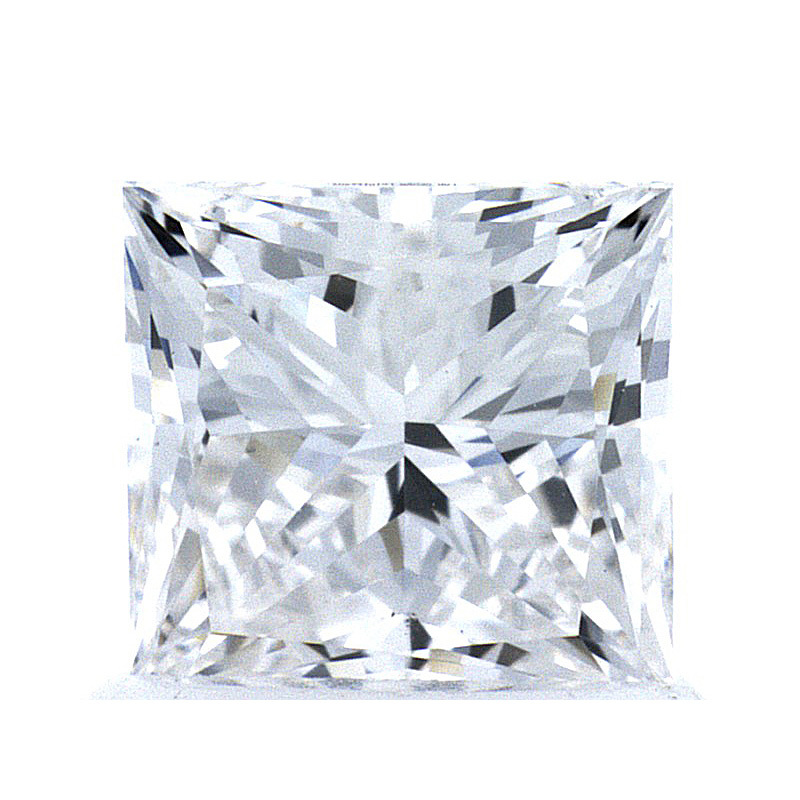 It's an F color with VS1 clarity in a brilliant princess shape. 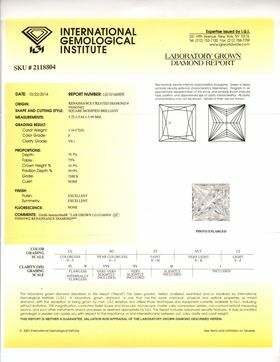 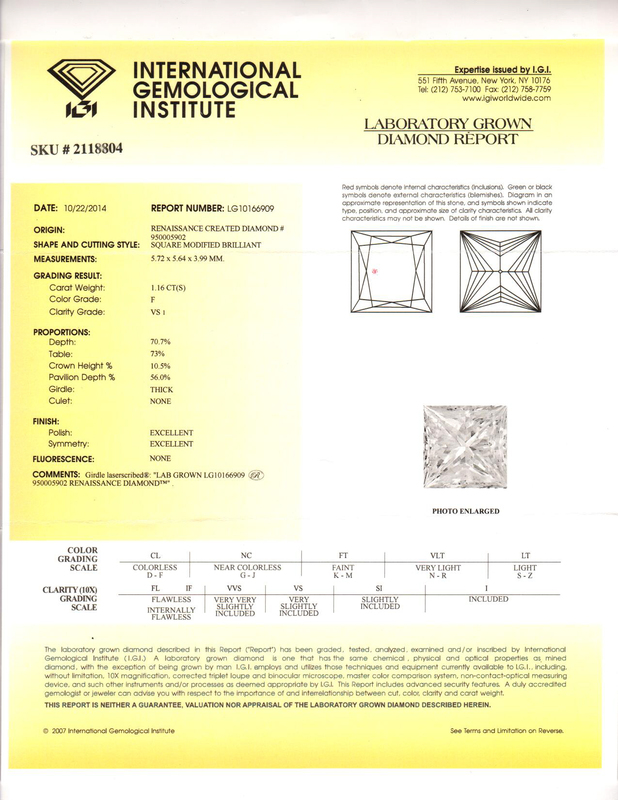 Every diamond over 0.50 carats is accompanied by a IGI grading report and a certificate of Eco-Friendly Origin.